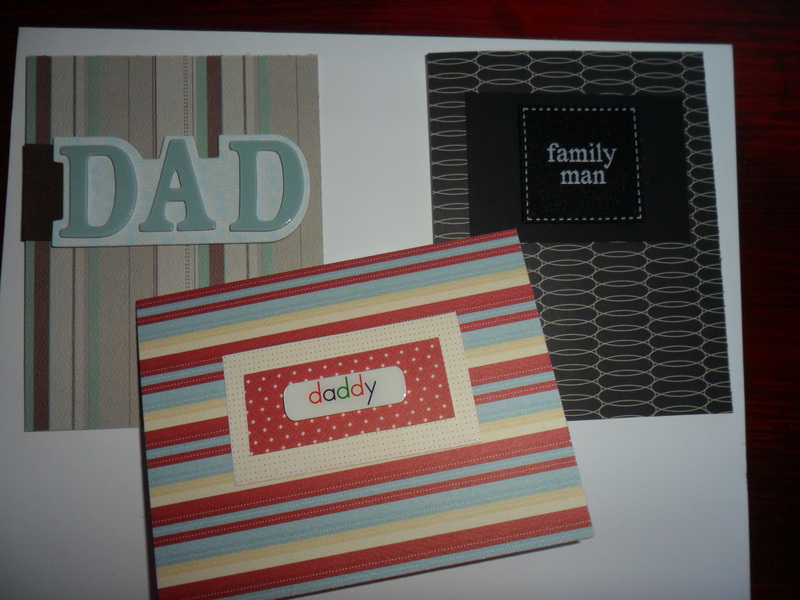 Yesterday I got out my card stock, craft paper, and Father’s Day stickers to make some Father’s Day cards. 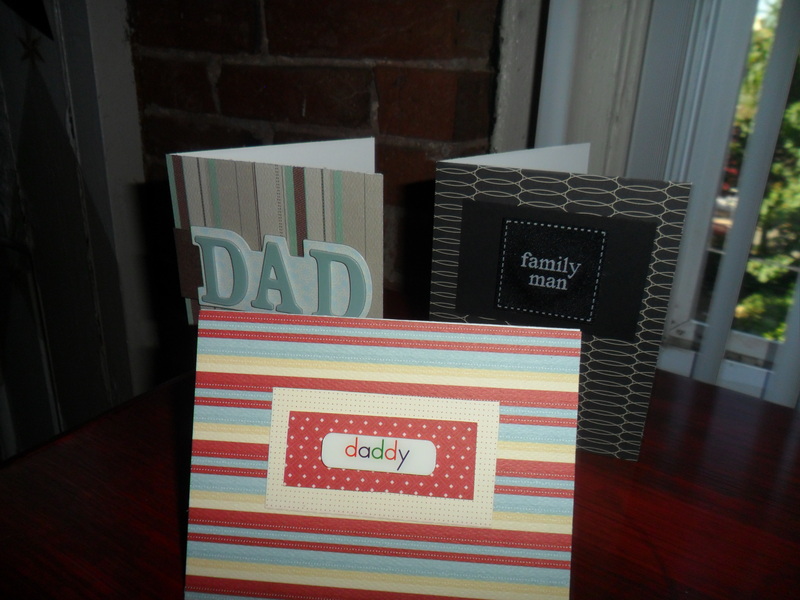 I needed to make three, one for for my husband, one for my father, and one for my father-in law. 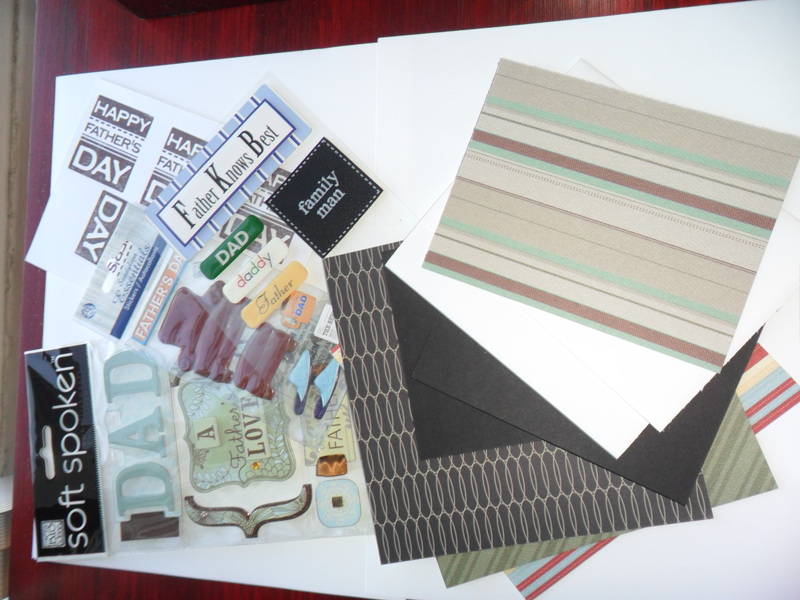 I started by laying all the materials out to see what I had. Designing the cards is really the only part that takes some time, and that’s mostly because I am indecisive! I pair up different stamps and stickers with many kinds of patterned craft paper until I finally choose a design. Making the cards takes only a minute or two. Yesterday we celebrated with my Dad by going out for burgers and doing some shopping. We made him a calendar with iphoto. I collected pictures of my siblings, their children, and my family and assembled a July – June calendar. iphoto makes this so easy, there are ready made templates and you just drop the photos in you want then select “buy calendar!” Now Grandpa has a photo calendar with all of his kids and grandchildren in it. Today we have another full day planned to celebrate! 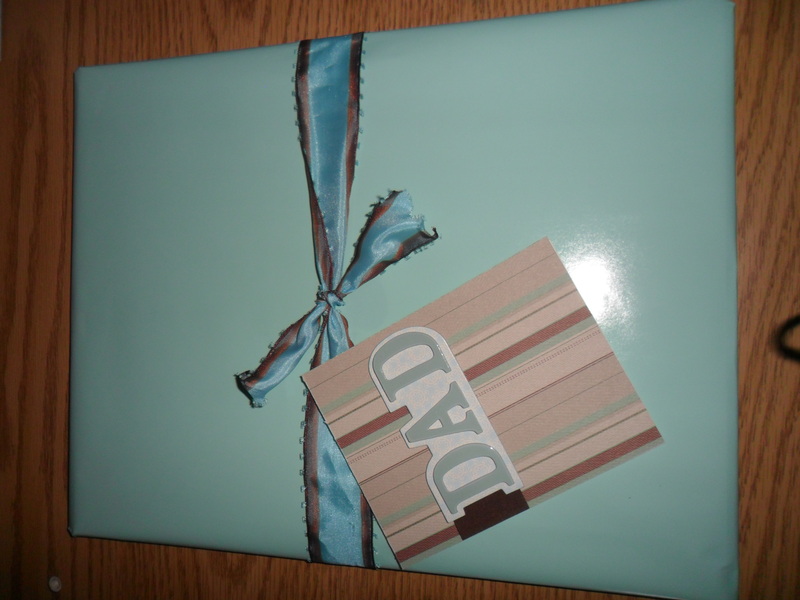 Happy Father’s Day to all of the dads out there especially my husband, my dad, and my brothers. Have a great day!